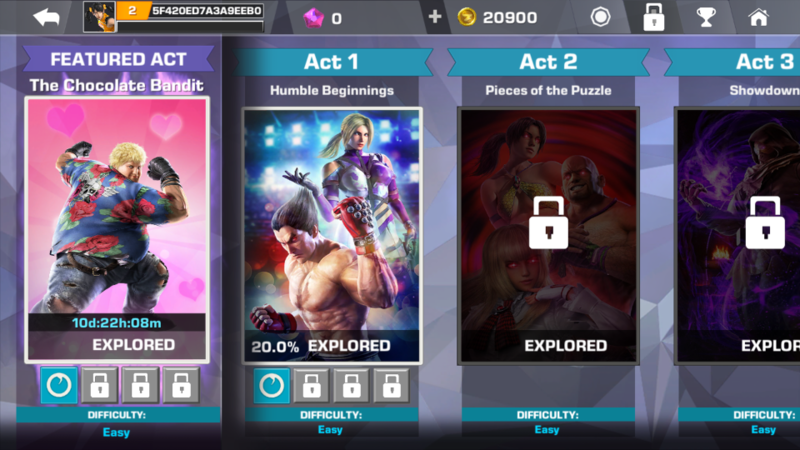 The story of Tekken is brought to mobile in this new release, allowing players, new and experienced fans of the franchise alike, to get a base understanding of the characters. Although they are about to encounter new dangerous advesaries! Fight along with Kazuya, Nina, Xaiyou and more established characters from the franchise to uncover. Defeat the acolytes and find out what’s been happening in the world of Tekken. Admittedly, the story is somewhat thinly veiled as a small way to get you to grind your way through getting characters, but it’s fun enough! As far as fighting games go, some of the basic mechanics are intact. You press and hold down to block (which is a deviation from typical Tekken style). You swipe left to go backwards, swipe right to go forwards. You tap on the right hand side of the screen to do a basic attack – keep tapping to do a flurry of combo attacks. If you press and hold down, you do a more powerful charged attack. You must time all of this, along with the unique skills of each character in order to beat the enemy. When you get hit, you go into the next fight still injured, only getting healed over a long period of time, or by using potions. You get new characters and items by way of a random unlock system, often snagging you a shard of a character as opposed to a full character each time. 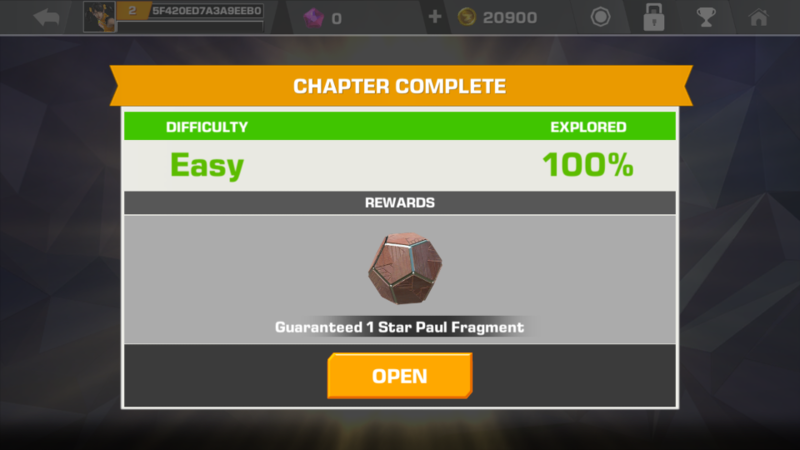 You typically need to collect 10 of these shards in order to get a character. 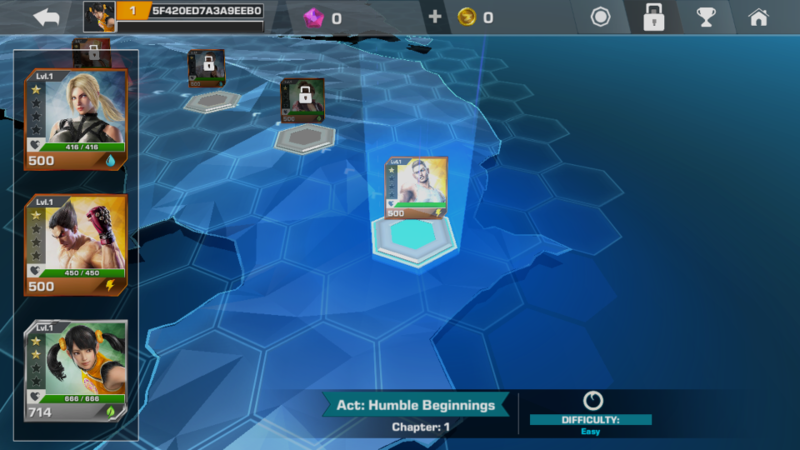 You can also unlock a full character, which can also be a duplicate, meaning you’ll have to turn the character into something called Waza, which is a card system to allow you to do some big attacks. Some break armour, some are great for counter attacks and some are just heavy damaging attacks. You play through the story in a grid-like way, meaning you create your own path through each chapter by choosing what characters you want to fight next. The whole way, it feels like there’s a relatively random bunch of enemies to fight, such as Tekken Force members and even Bikers. It’s an odd selection, mixing in staples of the franchise, such as Paul, Steve and many, many more. It’s a very strange sense of progression, but still, it feels like you’re always moving towards something. As a strange little side-note, you get to only go in with three characters and if they’re knocked out, you’ll need to give them a revive and/or some potions to continue. As well as the campaign, you can fight event bosses, which are extremely tough versions of characters. The event I saw when I started was for a 4-Star Bob, who happened to have 30,000 health, which was a little bit much for my 600+ health Xiyaou. It seems like these tough characters will be there for those who have grinded their way through the story and are able to take them on. 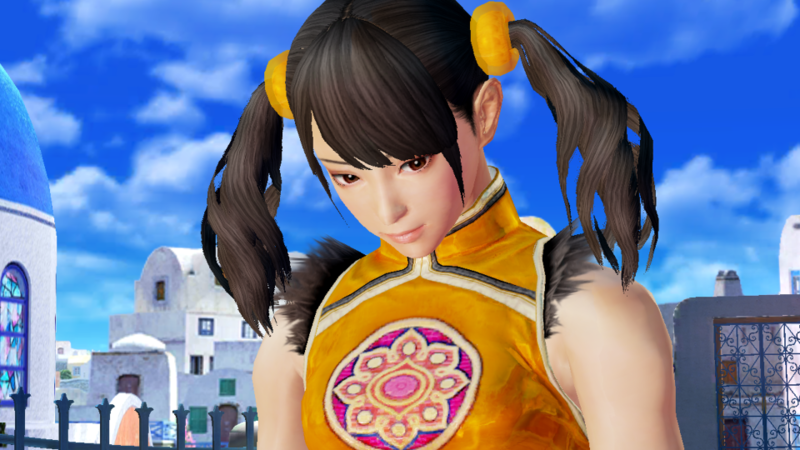 From player level 4 onwards, you can also fight dojos in an automated battle system, allowing you to put some “defenders” in your own dojo and attack with an offensive unit of three Tekken characters, in a similar fashion to the story. 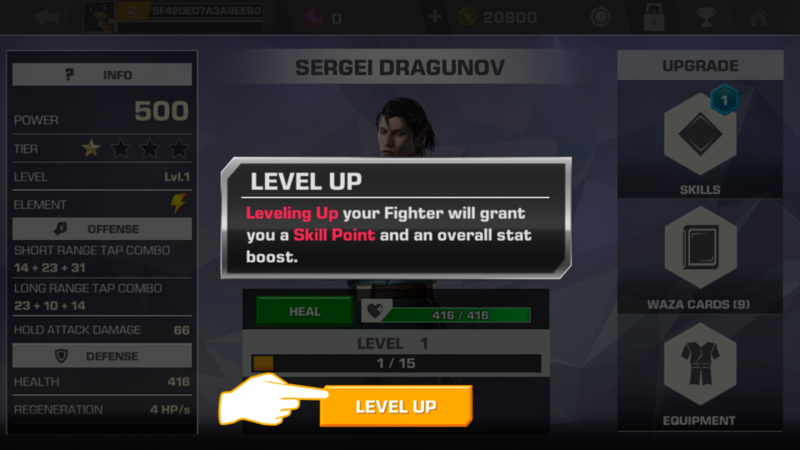 Finally, the star system seems to be a way for you to improve and upgrade your fighters, which is typical of a mobile game of this kind. 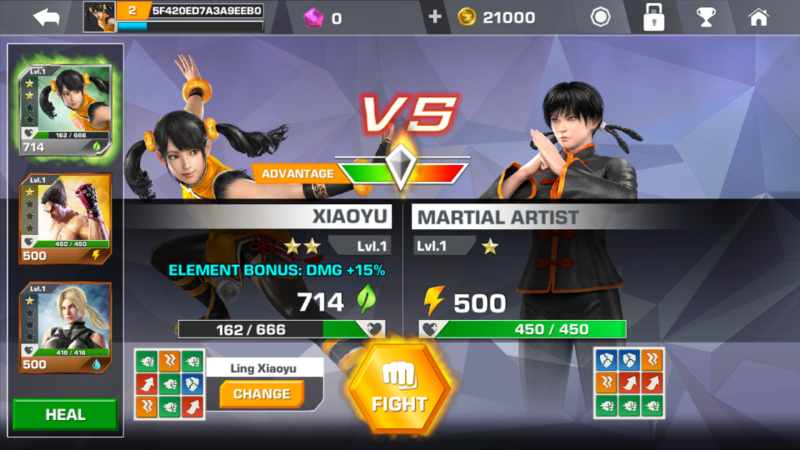 As a huge fan of Hyper Heroes, I spend a lot of time grinding in to get the next star for my characters, but ultimately this trend follows me here in Tekken mobile. I’m not a huge fan of the star system, as Tekken to me was always a case of having a well thought-out cast of balanced characters; although some do feel cheaper than others *cough* Bryan *cough*. This is probably the best selling point for the game, other than those incredible graphics – The game sounds amazing. It’s as if some of the audio should have been put in Tekken 7 itself; however it’s genuinely an audio feast. Listen in to some excellent tunes and honestly, some rather good voice acting for a mobile game. Sometimes, when a big company gets their input to a mobile game, it pays off in a big way. 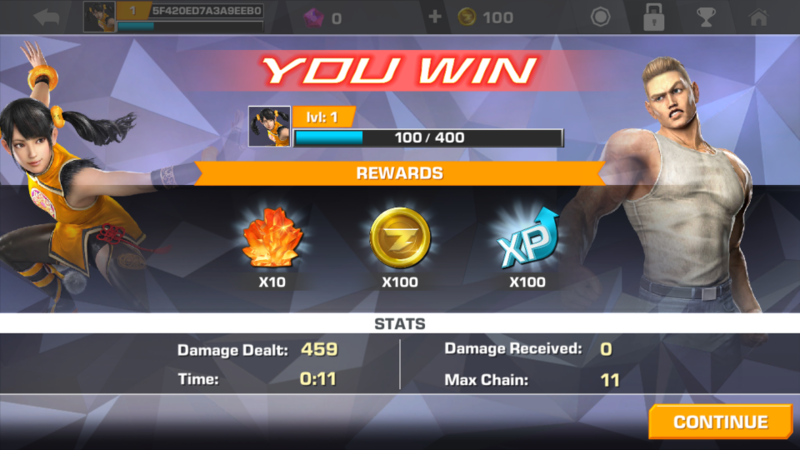 Tekken on mobile really isn’t much of a Tekken experience, per se; but rather it should be considered as a completely standalone title with it’s own set of rules. There’s a lot still coming to the game, so don’t think all that’s above is the entirity of the game. Rather, they say there is going to be local battles coming soon and a lot more, which is rather interesting! Here’s hoping the game continues to expand and evolve, learning what succeeds and what fails. Granted, if you’re a fighting game purist then this version of Tekken really will fail to deliver. However, if you’ve never played a fighting game before, or if you’re quite casually into the genre, then this is a fun little basic introduction, which teaches you about combos, larger attacks, blocking, dodging and rosters. It’s far from perfect, as the game doesn’t include Lee Chaolan as of writing, which is a sin (I kid), as the game is not full of fancy tap-based combos… However, there’s enough combo ability and enough character power to really make it a lot of fun. As is norm in free to play titles, there’s a lot that it tries to sell you, but that’s pay-to-win, not pay-to-play. However, a 30,000 health Bob… Now that might be a challenge for another day. Have you had experience of this version of Tekken? If so, share your thoughts in the comments below, or over on Facebook and Twitter. 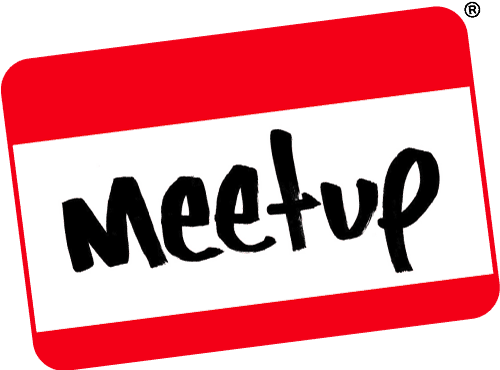 This entry was posted on February 19, 2018 by Timlah. It was filed under Gaming posts, Reviews, Video Games and was tagged with Android Fighting Game, Audio, Bandai Namco, Fighting Games on Mobile, Gameplay, Graphics, iOS Fighting Game, iPhone, Mobile Fighting Game, Review, Story, Tekken Android, Tekken iOS, Tekken iPhone, Tekken Mobile.